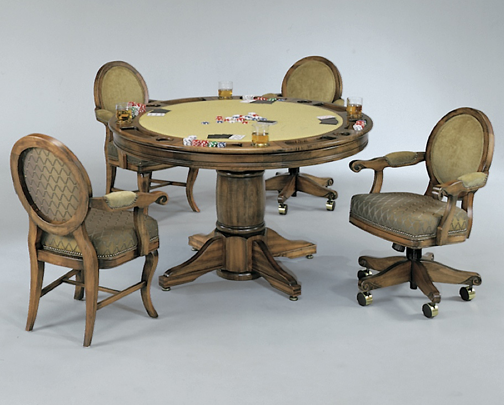 Ready to Buy Your Poker Dining Table? 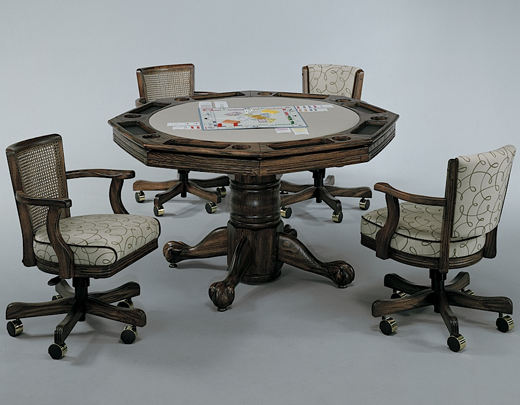 This section of our Poker Dining Tables are manufactured by Darafeev. 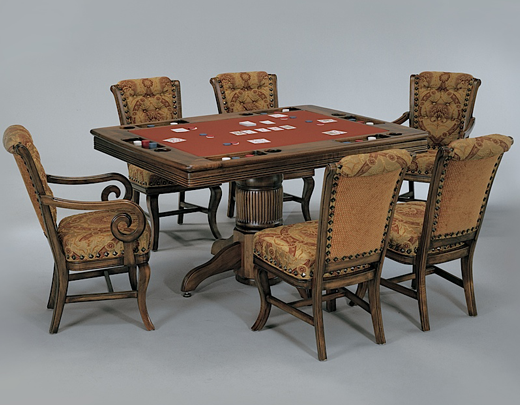 Darafeev is both a well known name in quality game room furniture and offers one of the largest poker table selections available in the U.S. today. 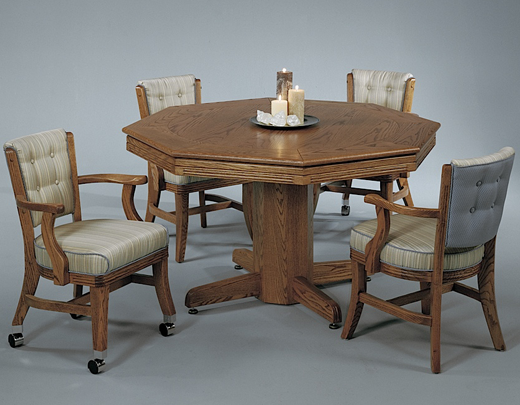 It's worth telling our customers that these tables, stools and chairs are all made here in the US. 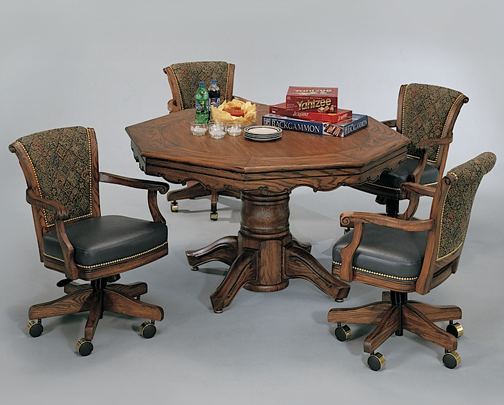 Two great parts of crafting a finer peice of furniture come together when it's time to make a Darafeev piece. State of the Art Manufacturing and Old Wold Craftsmanship. To some these terms may seem at odds but when you see the expert craftsmanship in each piece you understand the finely crafted marriage between Today's Engineering Technology and Old World Craftsmanship. The Best craftsman in the world were always at the forefront of technological advances. 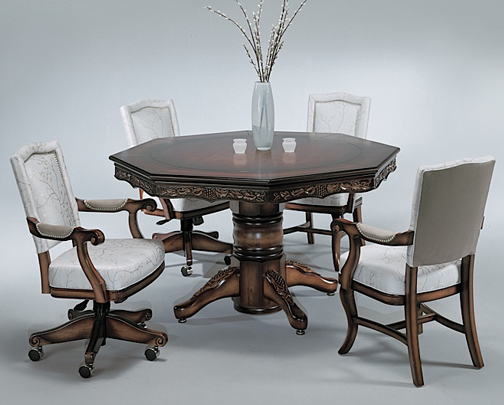 Darafeev products make the statement time and time again in their quality and highly engineered fine furniture pieces. 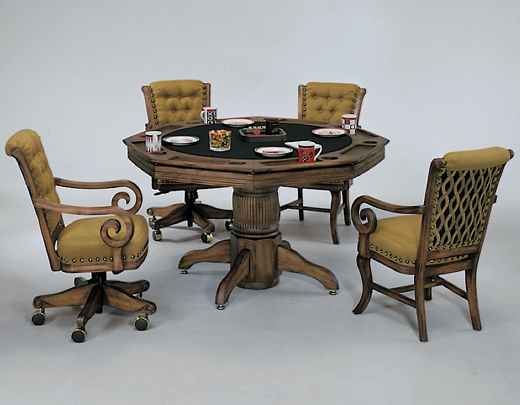 Please call us and ask all about these beautiful tables, chairs and other finely crafted Darafeev furniture pieces. 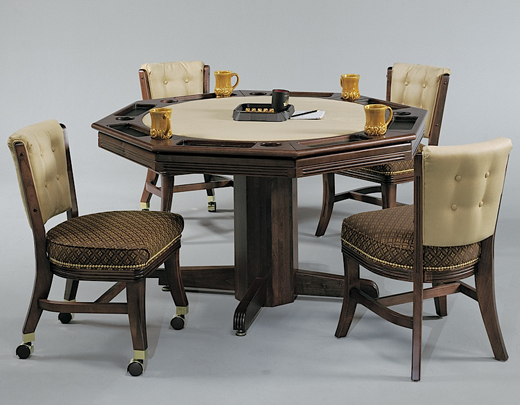 The Texas Hold Em Combination Dining & Poker Table is one of our largest combination dining and poker tables. 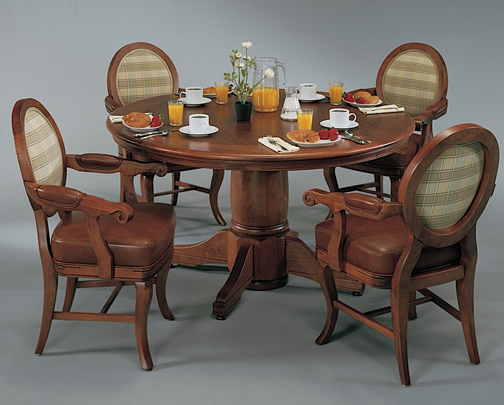 Fluted solid wood legs and gracefully arched leg supports. All made to last a life time and even generations of players. 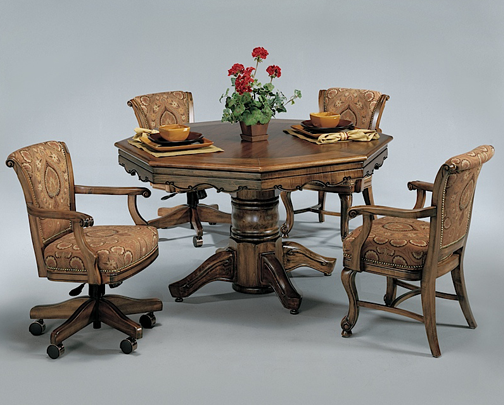 The top is both richly finished with a UV resistant finish and lovingly accented burnished edges. 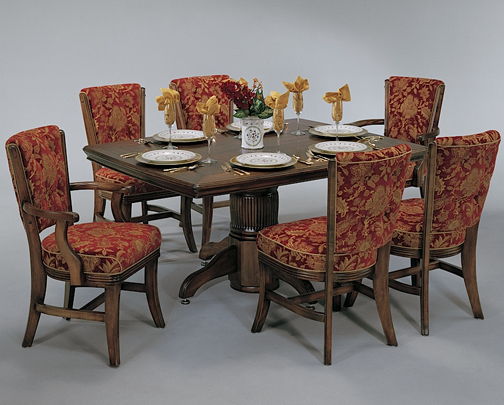 You choice of finishes and fabric selection. 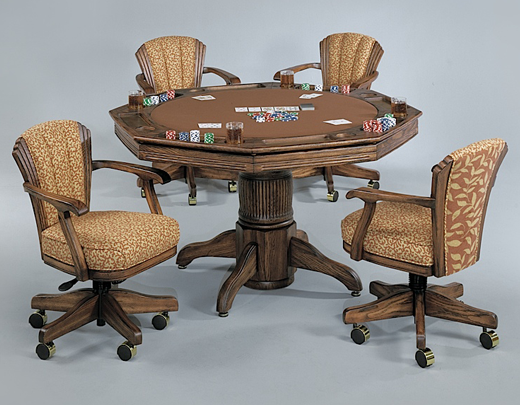 Compact but large enough to easily ply four comfortably. 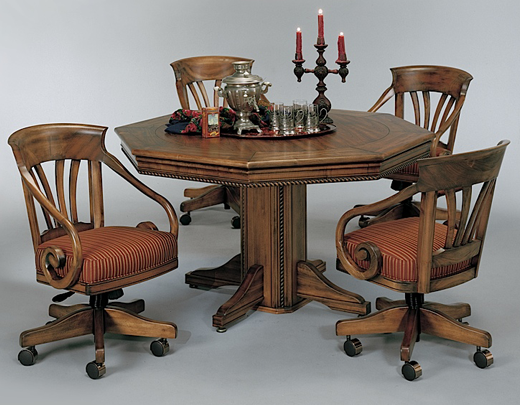 The Algonquin has a rich heritage and take its good looks from line from harlequin inspiration. The top is easy to remove and set aside. 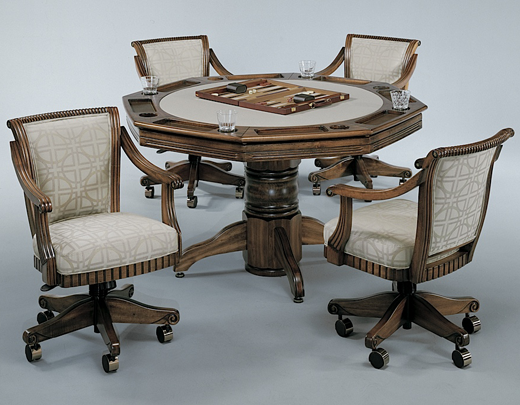 Your combination table top is also available with inlaid chess board. 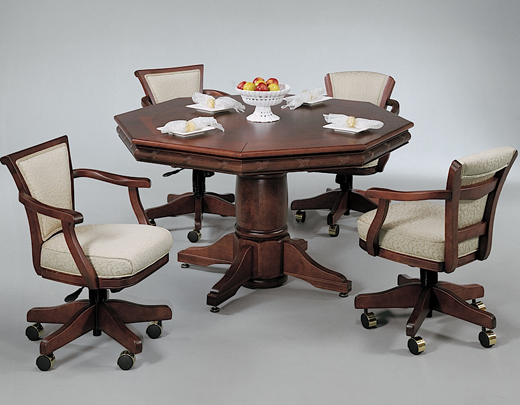 You May choose from caster or non caster chair styles. 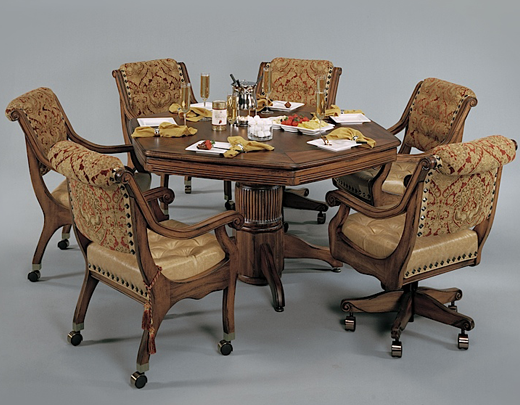 The Algonquin is also available as dining table only. 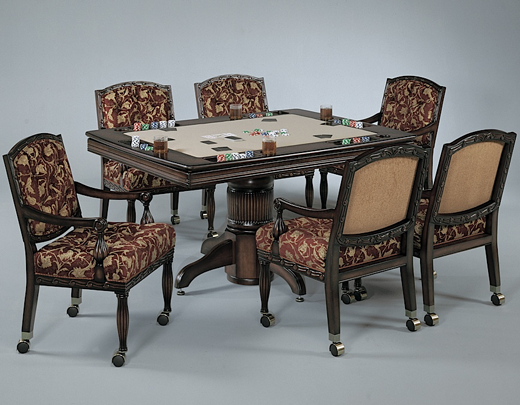 The Algonquin is also available as dining table only. 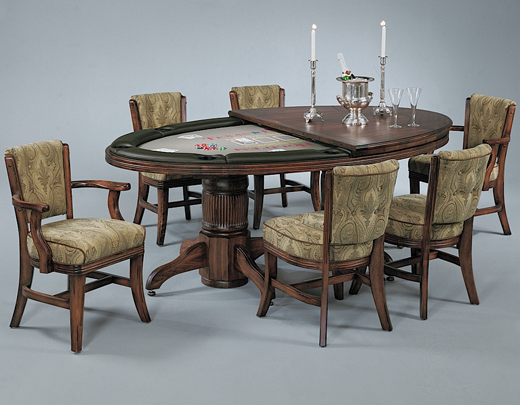 The Classic Combination Poker table is a standard in our line up. Names the classic both for its good looks and it's seasoned selling streak. 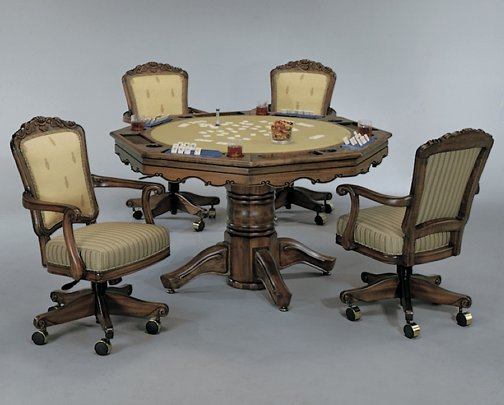 The Classic Poker Table shown above with top off, is one of our best sellers and come with multiple options. Options include wood choices and finish choices.